Welcome to the Teacher Newsletter for RSI, USABO and TEP teachers. See below for more information on our programs and CONTACT US to be added to our teacher email list! Selection of the 2019 class of the Research Science Institute at the Massachusetts Institute of Technology has been made and acceptance letters have been sent. The 2019 RSI program will be held on June 23rd to August 3rd. Students interested in this program should visit the RSI website for more information. 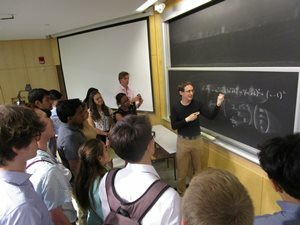 The program is cost-free to students except for travel to and from MIT. Applications for the 2020 program will be available online beginning in November. Congrats to the two RSI 2018 alums who took home 8th and 10th place awards at the Regeneron Science Talent Search finals held in Washington, D.C. earlier this month. Rachel Seevers, a senior at Paul Laurence Dunbar HS in Lexington, KY, was selected by her STS peers as the person who most embodies the qualities of Dr. Seaborg, a Nobel Laureate and former board chair of the Society for Science & the Public. Twenty-three alumni of CEE’s RSI and USABO programs were awarded a combined $216,000 in prizes as 2019 Regeneron STS Scholars. Thank you to the many schools, teachers, and parents who challenged their students to develop critical thinking skills in biological reasoning in preparation for this year’s Bio Olympiad! Semifinal examinations are underway and the 20 national finalists will be announced in late April. 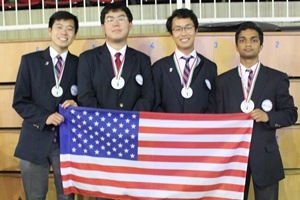 The 2019 USABO finals will be held at UC San Diego in June. The 2019 International Biology Olympiad will be held in Szeged, Hungary from July 14th-21st. Check out the CEE Facebook page for pictures and the latest news! It has been a very busy winter for the TEP team with visits to southern California, Texas, and Virginia. CEE is excited to be inaugurating TEP in West Virginia this month before finishing out the series of TEP sessions in Florida and Virginia in the coming months. Check out the Bite of Science and Teacher Roundtable pages for the latest schedule and registration. Don't miss your chance to connect with leading scientists and engineers in your community! Plans are again in the works for a half-day STEM Workshop in late June for Northern Virginia teachers. Keep an eye out for Save-the-Dates to be sent in May! 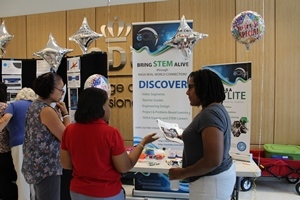 So far this school year, TEP events for middle and high school STEM teachers have been held in CA, MD, PA, TX, and VA. Missed the session in your neighborhood? Check out videos and supporting material for all TEP events on the Lab Bench. All resources are available at no cost for your use in the classroom!